Movie stars, millionaires, and well-known musicians of Mommy’s past were light years from that moment as she leaned over the grocery store dumpster with resolve, pulling out rotting vegetables she called “treasures.” In a subtle paradox, there was not a hint of disgust in her facial expressions while even the non-descript clothing draped over her tall, lithe body could hide that she had once been a radiant beauty. As if she discovered exactly what she’d been seeking, Mommy pulled a box out from under other refuse, blurting, “Voila!” My eight years of life experience couldn’t fathom the usefulness of this “treasure,” a box full of brown, slimy wilted heads of lettuce. 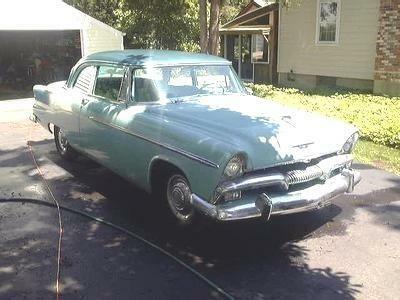 Nevertheless, she plopped the box into the trunk of her mint green 1956 Dodge and we drove home. Now there’s another confusing term. Even today at fifty-two, “home” is wherever I am laying my head to sleep on any given night. It’s hard to erase the patterns of an entire childhood. Until I got married at sixteen, we usually didn’t live anywhere for longer than a few weeks or months; all of our belongings fitting into the trunk of our car. At this particular juncture, our two-week home was a motel room with kitchenette on Huntington Boulevard, not far from Disneyland. Perhaps this earliest cooking recollection was where my kitchen creativity began. I remember Mommy speaking to me like her apprentice, “First Christie; you have to remove the outer leaves.” Like disclosing an ancient secret, she peeled back the rotten layers to reveal a miniature, yet perfect head of lettuce. I was in awe. How did she know this stuff? It was like she knew this lettuce was behind that specific grocery store, and we didn’t even have to pay for it! How absurd that people actually threw away good food. Yep! One man’s junk is another man’s treasure. Inspired this new apprenticeship, I devotedly dropped slimy outer layers of lettuce into the other half of the wooden produce box sitting beneath me. It was only the white flesh remaining we would use. While I worked, Mommy started her preparations by pulling out a huge, white soup pot. Regardless of what else we left behind, every time we moved to a new location Mommy still had to figure out how to feed seven people three times a day, every day. It puzzles me that I was completely unaware of her gargantuan challenges at the time. She never complained about these seemingly impossible tasks. She just plodded along until they were done whether it was cooking or laundry or packing everything up, once again. More garbage than food remained after removing the inedible parts. Next Mommy showed me how to wash the soiled heads under cool water, taking care to remove any residue. I was thrilled when this final cleaning process revealed sparkling little gems of iceberg lettuce, juicy and fresh. But another surprise ensued when Mommy removed the hard cores from each of my gems. She cut them in fourths, and dropped the quarters into the big pot of boiling water. My hard work ruined! Now the lettuce would be wilted again. “You didn’t cook lettuce!” I thought, never daring to speak my mind. Soon, my brother, three sisters and I sat down to eat, watching Mommy ladle Potage de Laitue into our bowls. I don’t remember where our father was; probably out looking for work. My empty stomach was anxious to fill up on this unique creation, yet I cautiously tested the broth; still in disbelief that it was possible to make soup from lettuce. It was delicious! Silently, we sipped her delicate, creamy soup. Mommy’s eyes lit up. Even mismatched spoons and bowls of different sizes and colors couldn’t diminish the pride in her work as we hastily finished and asked for more. I felt proud too. For that moment in our tiny motel room, like so many other moments, Mommy didn’t focus on what could have been. She had just successfully fed her five children—a la Julia Child no less—in a feat transcending wealth and glamour. Nothing was more important to her than us kids and we knew it. While relishing our miraculous meal, I reflected on my amazing mother and the story of Stone Soup I had just heard in school. You could make a meal with scant ingredients. A good cookbook helps too. Today, I often send a prayer of thanks to Julia Child for giving my mother dignity in her darkest moments. And even though my mother escaped this daily suffering with her premature death at thirty-five, I send a prayer to her for giving me the gifts of determination, a positive attitude and an undying resourcefulness, no matter what may face me at any given moment. Perhaps that is why when someone tells me, “There is nothing to cook,” I know better! In 2010, there were 12 new posts, growing the total archive of this blog to 32 posts. There were 101 pictures uploaded, taking up a total of 28mb. That’s about 2 pictures per week. The busiest day of the year was January 7th with 98 views. The most popular post that day was A True Cultural and Culinary Adventure. The top referring sites in 2010 were facebook.com, stumbleupon.com, mail.live.com, WordPress Dashboard, and en.wordpress.com. Some visitors came searching, mostly for jane goodall, twitter, things you should know but probably don’t, twitter bird, and jane goodall pictures.